Right time to buy HP TouchPad Tablet for very low cost. Hurry up !! Based on HP's announcement that its TouchPad tablet PC is being discontinued, many retailers in UK have confirmed a massive price drop for the device. Many stores like Currys,PC world and Dixons have slashed prices of 16GB and 32 GB versions of the Touchpad. If you looking for a cheap Tablet and then this is the right time to take decision. This prices will be available tomorrow morning. Hurry up !! 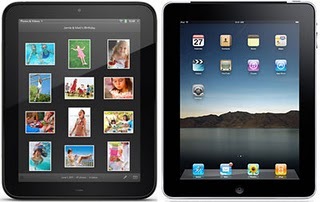 To know more about tablet click here.